Kitty Hawk, North Carolina, made its way into the history books 115 years ago. KITTY HAWK, N.C. (WTVD) -- First in Flight. Kitty Hawk, North Carolina, made its way into the history books 115 years ago. Ohio can criticize North Carolina for using First in Flight all it wants, but Kitty Hawk was the site of the first controlled, powered aircraft to fly. Wilbur and Orville Wright, Ohio natives, spent years experimenting and building gliders. They then took their glider technology and worked to add power to the craft--thereby creating an airplane. Their first successful flight happened at 10:35 a.m. on Dec. 17, 1903. It lasted 12 seconds. Orville piloted the airplane and traveled 120 feet. The plane flew about 10 feet off the ground. 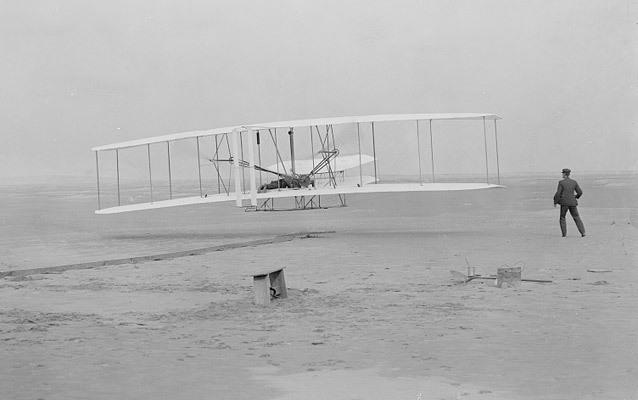 Wilbur and Orville flew twice more that day, traveling approximately 175 and 200 feet during each flight. According to the Wright Brothers National Memorial, it was "the first time, a manned, heavier-than-air machine left the ground by its own power, moved forward under control without losing speed, and landed on a point as high as that from which it started." The remarkable flight elicited an unremarkable public response, but the brothers would continue to improve their techniques and inspire other aviators around the world. You can visit the exact spot where the Wright brothers propelled themselves into the history books. The location is now a national park. It's open year-round from 9 a.m.-5 p.m. There's a $10 entry fee for adults, but children 15 and younger can get in for free. 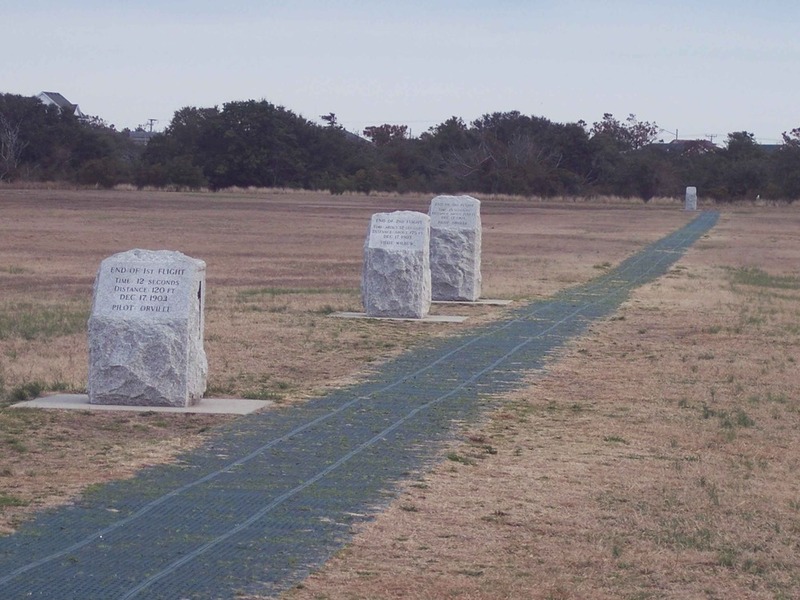 Click here to learn more about the park and the Wright brothers' historic flight. You can also learn more about the race to create a powered, manned flying machine at the Smithsonian Air and National Space Museum's website.